All data in Netforce can be imported from spreadsheets. Here is a sample spreadsheet that can be used to import contacts. Additional fields can be added by adding columns to the spreadsheet. The headers have to match the labels of the fields to import. 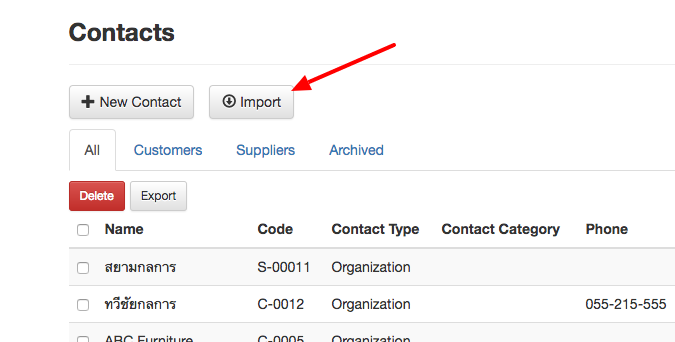 In the contact list, click the "Import" button. Save the spreadsheet as a CSV file (if you are using Google Sheets, click Download as > Comma-separated values). Click "Choose File" and select the CSV file.